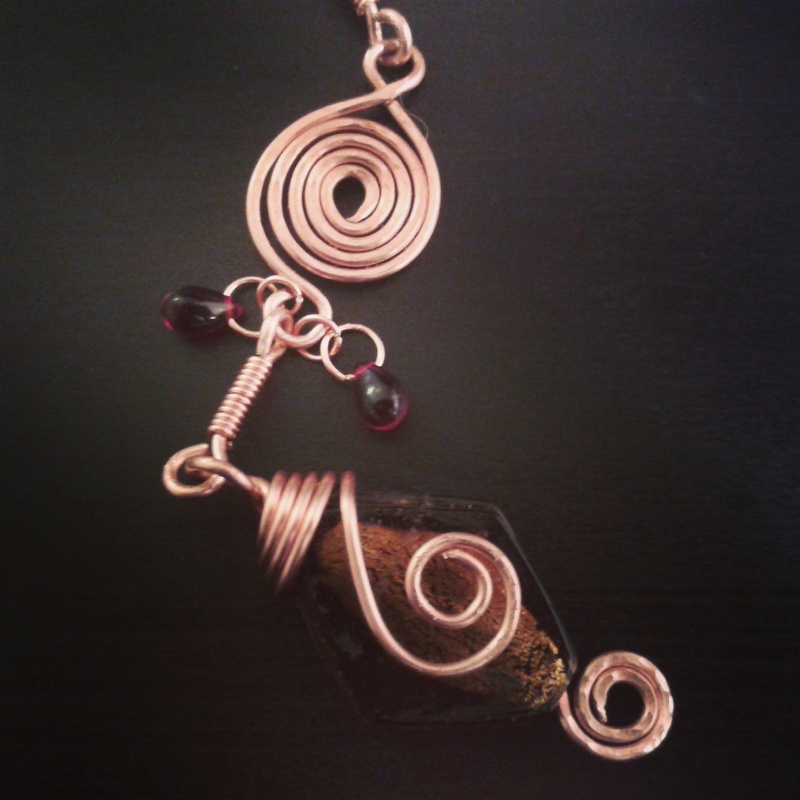 I decided 6 months ago to learn how to make wirework jewellery properly. In my ‘spare time’. From books and YouTube tutorials. to ultimately design and make gorgeous, wearable weird jewellery in natural shapes, using natural materials and processes and skilled handwork. that I’d finish anything I started, however disastrously it went. Better to end up with something than have nothing to show for an entire night’s work. That promise meant in a very short time I’ve created a lot of jewellery and even though I love it, I can’t wear all of it! I produce new items nearly every day, and may soon drown in jewellery. If you love unique jewellery, have a browse through my Etsy shop to see everything I’ve made so far. There will be some great bargains on the Seconds Shelf, so don’t miss out on that. Follow my blog to catch the newest jewellery, successes and mishaps, rants, and even the odd disaster if I learned something from it. I’ll share with you the YouTube tutors who have great designs and useful videos, the books I have found to be useful, and any other resources that I think you might want to know about! I’ve got a strong spiritual background, all about connecting with the earth and sky, so I realised early on that I wanted to work with the purest materials I could afford. Nothing silver or gold plated. Copper is a fabulous metal! It’s bright and shiny when it’s polished, and it tarnishes slowly with beautiful colours, so you’ll get a different effect every time you wear it. It’s also great value: you get 272 metres in 1 kg of 0.8mm copper wire. You get more jewellery for your money. I prefer it naturally tarnished. Over time your bright and flashy necklace will burnish to an orangey-gold. When you polish it, you won’t get inside all the dents and forging on the metal, and that’s how it will end up looking antique. The other option is to artificially ‘antique it’. Dip it in a chemical called liver of sulphur. That substance smells as unpleasant as it sounds, and I’m not a fan of chemical treatments of any kind, so my preference is to allow all my pieces to tarnish naturally. On the other hand, bright and shiny isn’t everyone’s cuppa tea, so some of my pieces are shiny and self-tarnishing, and some have been ‘antiqued’ and polished. 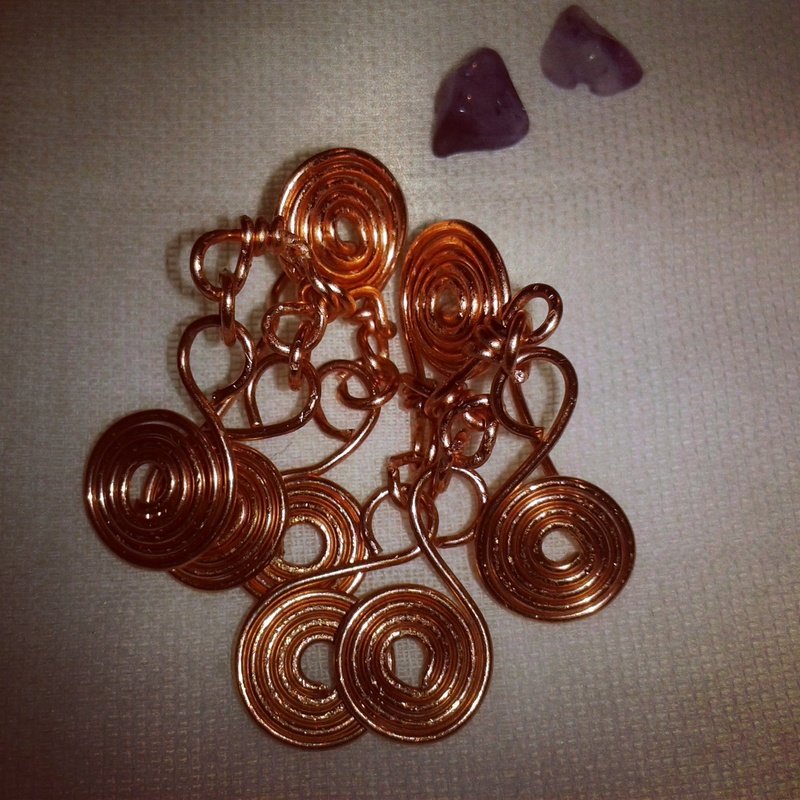 Oh, and not all my jewellery has been pure copper – I started out wishing I could work with silver. Silver plating chips off, and silver-filled copper feels like a cheat – also you can’t tarnish it (I tried, it didn’t go well). Mother Nature is the greatest muse of all, and although seed pods seem to have been all the rage in the design world for some time, I love the berries that appear in autum. Some of my work reflects this in the way I use beads and colour that contrasts with the metal. 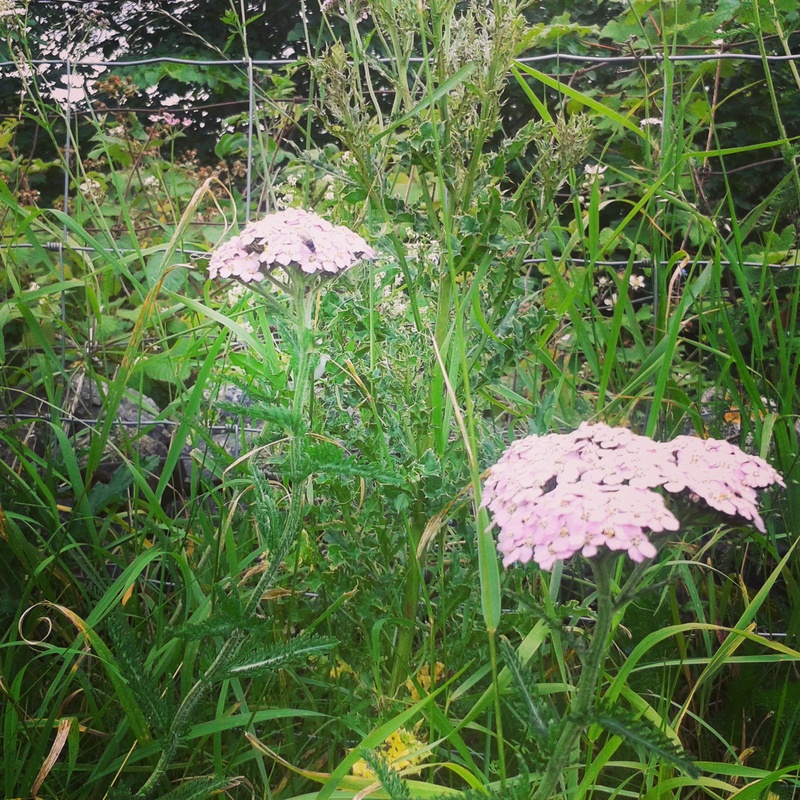 The way I see it, Nature’s blueprint is beautiful and provides real inspiration. My jewellery is about capturing the feel and movement of nature, not just components that are representations of real things. I spend time looking at how berries are clustered on a tree, or how a flower becomes a seed pod. 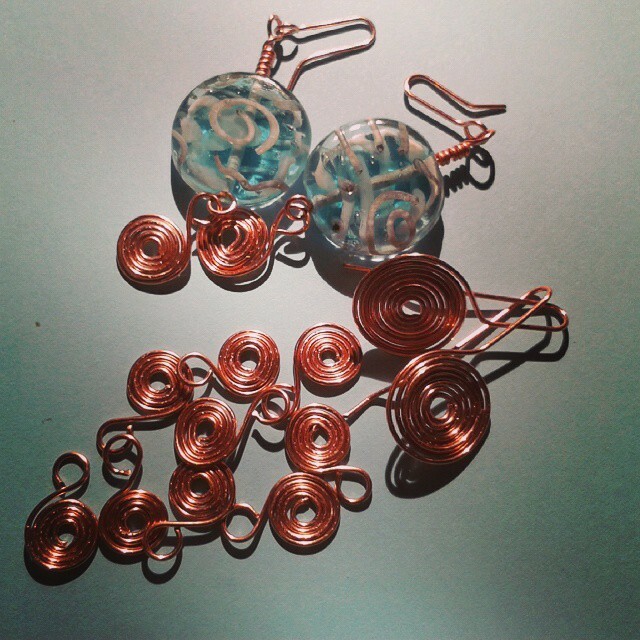 The closed spirals become round plates when they are coiled – thinner wire makes them like halfpenny coins, and the thickest wire I use (1.6mm) makes a satisfying pendant/connector component. They have been my favourite component to make since I started with this jewellery-making challenge. I am really attracted to them and they have a deeper significance too, so I love to make them in any size.